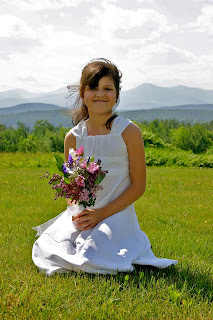 Home / Journal Page / Harvest Gold Gallery: Offering a Wedding Venue in Maine! 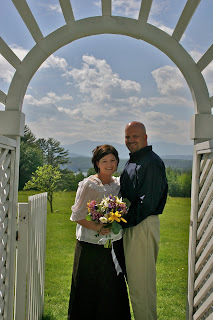 Harvest Gold Gallery: Offering a Wedding Venue in Maine! 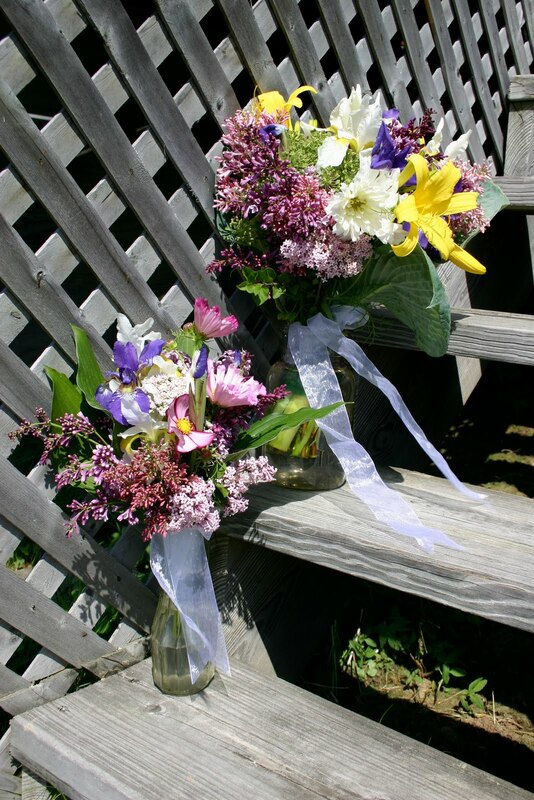 The bride had bouquets of local spring flowers made for the ceremony, and they looked just lovely in the Maine Landscape. 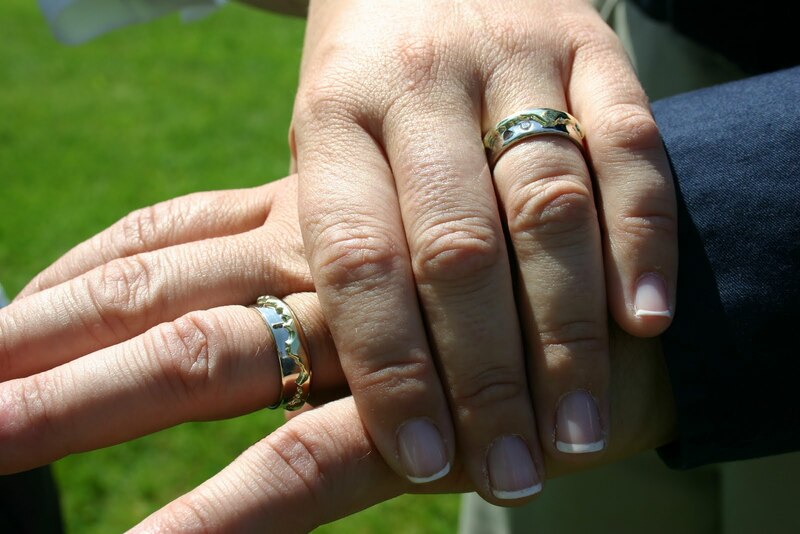 Their matching mountain range rings. The Daughter of the Groom poses against our lovely view! 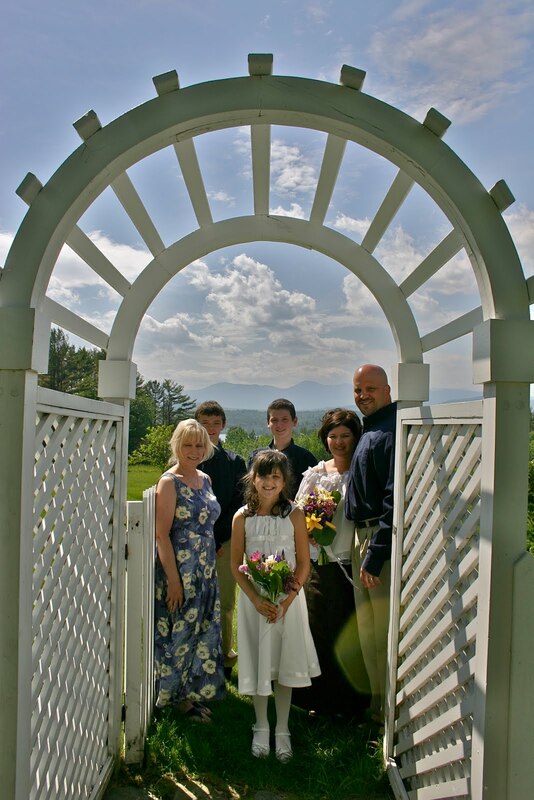 Sure to be a picture they will cherish for many years to come. 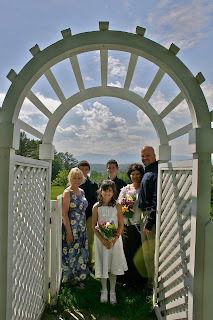 To learn more about having your wedding at our Gallery please contact us through facebook, twitter, or our etsy shops!